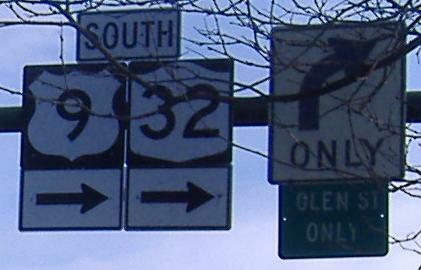 Hudson St. EB in Glens Falls, approaching the five-cornered intersection where NY 9L begins out of US 9 and NY 32. These two photos come from the same overhead assembly, but I split them up so you could see each with maximum clarity. It's odd that the LEFT ONLY sign would be on top of RIDGE ST ONLY, since in fact US 9 is a full left onto the northern half of Glen St. 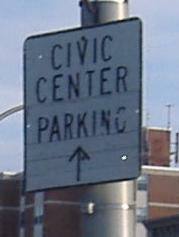 There is no prohibition on that full left turn, so the LGS is in error. 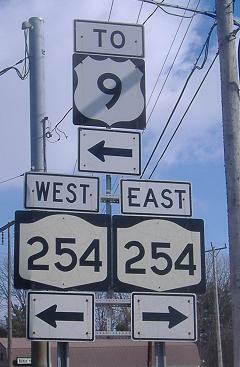 More old signs on Hudson St., along with an overall view of the five corners (with an NY 9L shield in the background of the third photo). 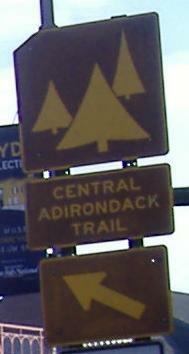 NY 9L is the Central Adirondack Trail, although where it's signed at all, it tends to only be with the tree shield (just like all of the other Adirondack Trails, including US 9). Not. 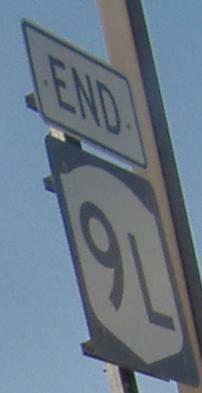 This is southbound at Washington St., where state maintenance may very well end, but NY 9L definitely ends at the five corners shown above. 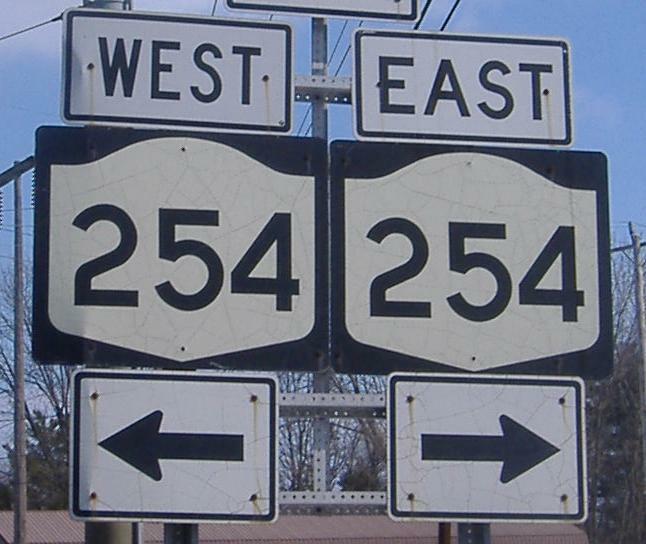 Northbound and southbound, respectively, with 30+ year-old shields for the cross street. Click on the first photo for a northbound assembly closeup showing the cracks in the shields, or click on the second photo for a super-closeup of those same northbound shields. It's all you can handle. 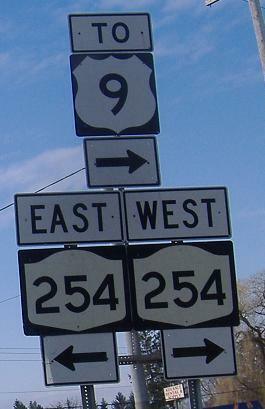 Northbound, at the southeast corner of the intersection, is this very poorly assembled state reference marker. 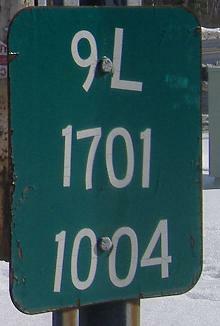 The encoded numbers represent the section of the route being maintained and how far into the section this sign is.